WILDWOOD - Experience baseball in a brand-new way on the beautiful, white-sand beaches of the Wildwoods! The Baseball on the Beach tournament will be held Saturday, August 18 and Sunday, August 19. The ages of participants of Baseball on the Beach are 9-13 and divisions include 9U, 10U, 11U, 12U and 13U. 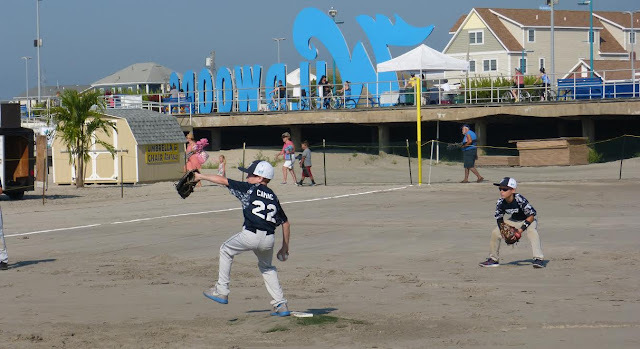 The games will be held on four different baseball fields on the Wildwoods Beach between Andrews and Rio Grande Avenues in Wildwood. Hours are 9 AM to 7 PM each day. Baseball on the Beach is FREE to spectators! For more information, call 609-522-2444 or visit www.WildwoodBeachBaseball.com.